"Three Cliffs Bay" - Won 2nd position in "Britain's Best View" 2007 and BBC's "Britain's Best Beach 2006" - 10 minute drive. "Oxwich Bay" - The Travel Magazine most beautiful beach in the UK 2007 - 15 minutes drive. "magnificent and unspoilt." 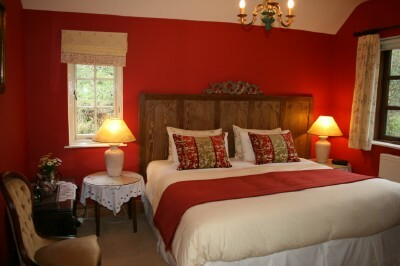 Our guest rooms are named after colourful characters in Dylan Thomas' play Under Milkwood. 'Captain Cat', the retired blind sea-captain, 'Gossamer Beynon', the butcher's unmelting, icemaiden daughter! .... �The perfect location for a walking holiday - spectacular coastal and inland walks all around. Four pubs with good food within easy reach. No traffic, so good night�s sleep guaranteed.� Ken and Mary Lever. Thank you for making us so welcome during our relaxing week�s B&B stay with you � so much more pleasant than a hotel. You were great hosts and your local knowledge was most useful. The ensuite room was immaculate and really comfortable and Nick�s breakfasts were legendary � so much to choose from and we hardly needed to eat for the rest of the day! Our walks along the beautiful Gower coastal paths were most enjoyable - the beaches are magnificent. 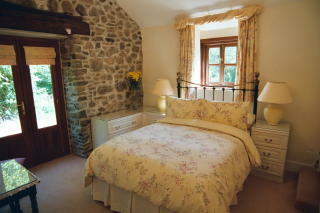 We would highly recommend Barlands Cottage to others and we will be back! John & Carolyn Patullo, Leicestershire. Just to thank you once again for our wonderful stay with you last week, we�ve never stayed anywhere we felt so welcome and comfortable. We both look forward to staying with you again in the near future. Thanks again Cheers Stuart and Ella. Set in three acres of private grounds, Barlands Cottage is a 250 year old house full of character and charm, and may be described as a quiet countryside retreat, nestling in a small hamlet between two Gower villages - Bishopston and Kittle - within 10 minutes walking. There are four local pubs here serving very good food and excellent beer! The glorious beaches and coastal walks of Gower are minutes away. We are situated at the head of the National Trust "Bishopston Valley", in the first designated Area of Outstanding Beauty in Britain. We are in a beautiful location, adjacent to one of Gower's oldest fords and just around the corner from the 12th Century Church St Teilo's. One and a half miles due south from us (as the crow flies!) is Pwlldu beach, with nothing but trees and meadows between us and the beach - See "A Walk to Remember" below for more details. Mumbles, a quaint Victorian seaside town, is a 10 minute drive away as is Swansea University. The City of Swansea, famous for our illustrious poet Dylan Thomas and film star Catherine Zeta Jones, a 15 minute drive. Cardiff, Wales� Capital City, where the annual Wales Rally GB (Network Q Rally) finishes, is a 1 hour drive. 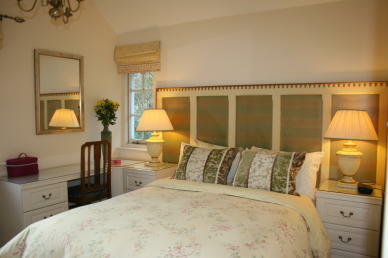 Enjoy luxurious 5 star B&B or our Self Catering with countryside views from every window. Double, Super King (6 foot bed) or twin accommodation is available in our B&B and includes en suite shower room, TV, tea and fresh coffee making facilities, toiletries and hairdryer. You can find a breakfast menu further along the web site. 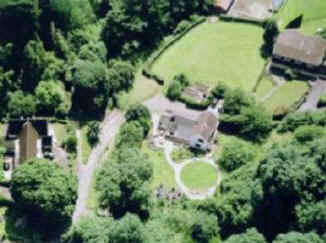 Click here -"Barlands Old Stable" for our SELF CATERING ACCOMMODATION. 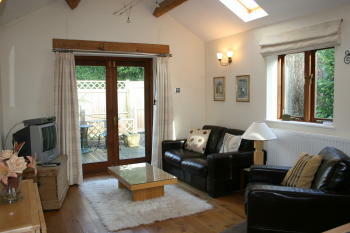 Barlands Cottage is in an ideal position for Gower beaches and excellent walking. We can book and make arrangements for all the above activities for you. Enjoy the day exploring the exceptionally beautiful and secluded Bishopston Valley, where you will discover a fascinating history of smuggling, industry and geology (walking boots/wellies recommended!). 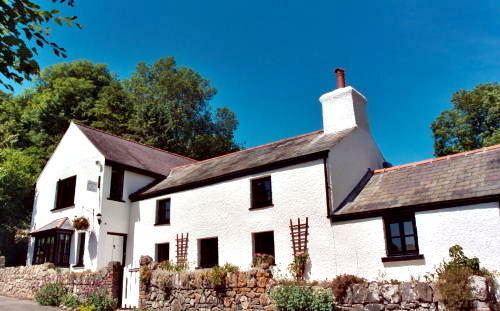 Start outside Barlands Cottage - but before setting off down the valley literally walk around the corner of the house, over one of Gower's oldest fords and explore the lovely Church of St Teilo's which was built in the Twelfth Century. Then follow the river bed south from outside the cottage as it winds its way down the limestone valley. The stream that rushes down the valley is sometimes seen to disappear into "sink holes" and re emerges half way down the valley to run above ground. Enjoy 4.25km walking through the most glorious and atmospheric scenery. Ramparts of an Iron Age Promontory Fort can be seen overlooking the valley. The remains of an old silver-lead mine, now a home to bats, and a mine building can also be found. All along the valley are small quarries and limekilns. The narrow wooded valley then opens out onto a flood meadow, and the stream reaches the sea at Pwlldu Bay. Here you can enjoy a swim and picnic (packed lunches can be provided) on the quiet unspoilt beach. About an hour's walk from the cottage. At the end of the day you then have the convenience of choosing between four good pubs serving food, one of which - The Joiners Arms - has its own micro brewery producing award winning real ale. Within minutes walking distance from the cottage. You will not have even stepped into your car!